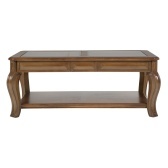 Designed with flair, this coffee table adds a sense of balance to your living room. 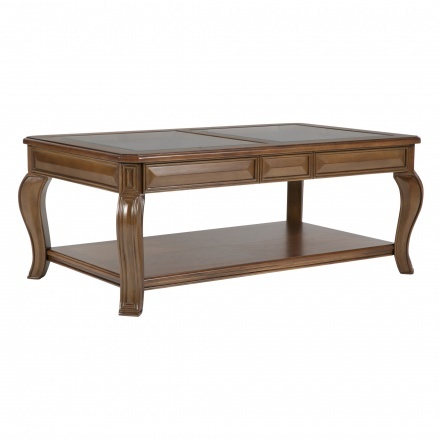 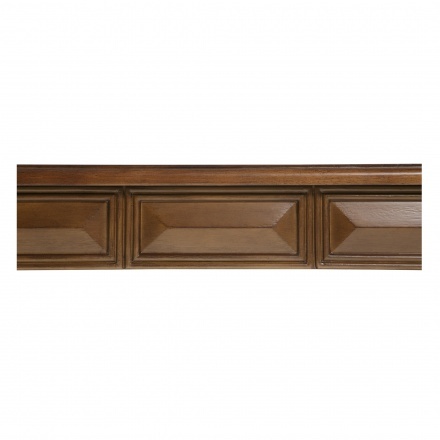 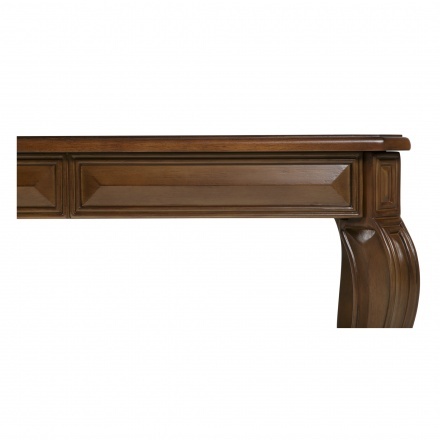 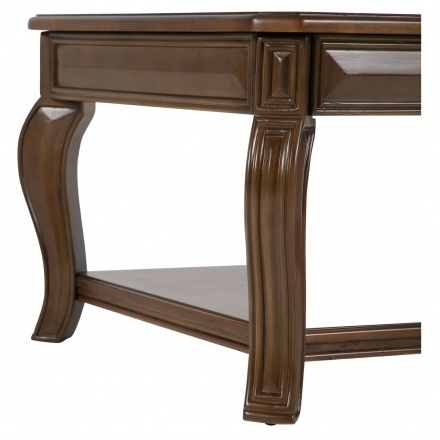 Made from solid wood with a veneer finish, it has an excellent make and is a sturdy addition to your home. 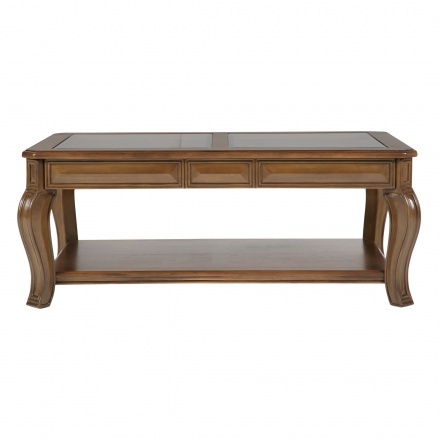 It has a striking flat top, alluring carved sides with attractive and slightly curved legs and a storage shelf at the bottom.